The Freestylist’s construction is fantastic. The seams are flat fell and nicely sewn. The Nose is clean as is the leading edge and wingtips. 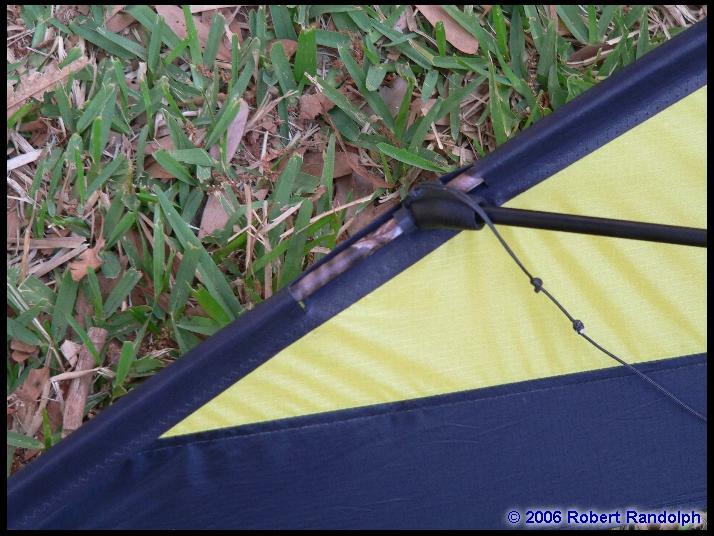 The standoff area is sufficiently stiff as is the entire trailing edge. 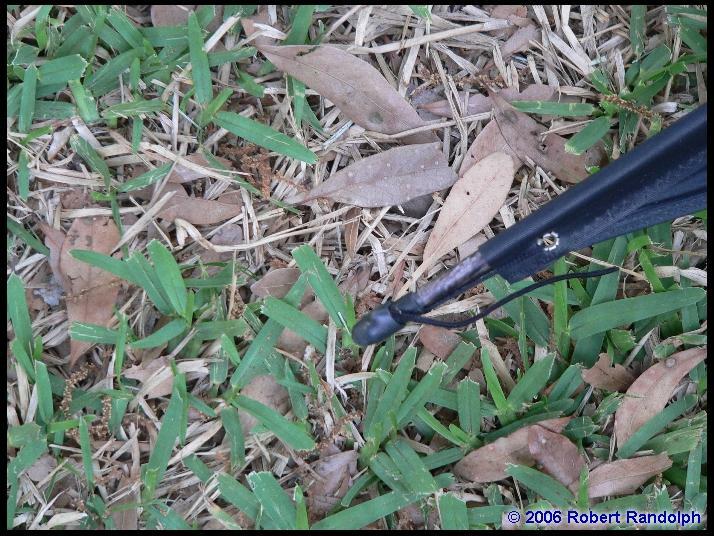 The yo-yo stoppers have tendency to bend too far forward on occasion. 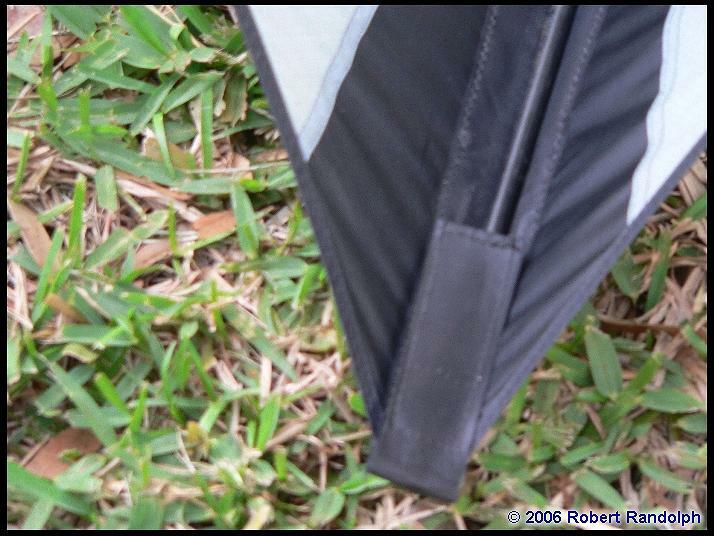 The spine lies on a thick seam and is well protected. 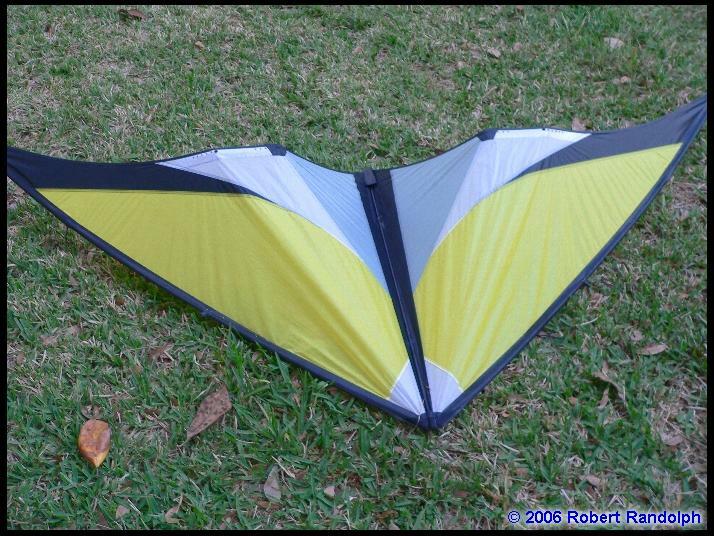 In general this is a kite that will not fail in any manner due to construction. ‘Over-sewn’ in a good way and common sense reigns throughout. Simple 3 point bridle with angle of attack adjustments. 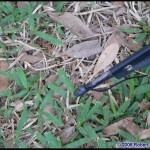 The freestylist is fairly basic in terms of features or tuning. Yo-yo stoppers, tail weight and APA connectors are stock. 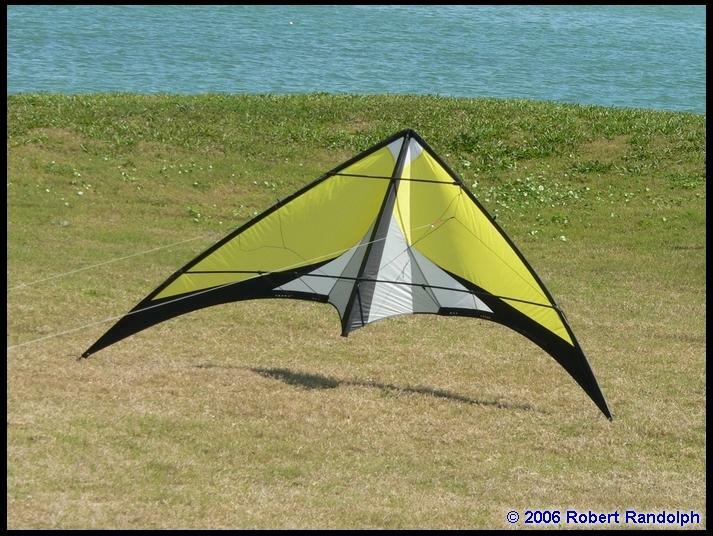 There’s very little else that’s needed for the kite to fly and trick well. 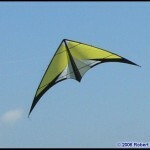 Luckily, as the kite stands stock it is fantastic and needs little changing. Wind range is published as 4mph-25mph. 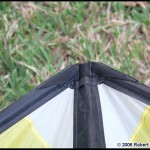 While the kite flies good enough above 15mph, the pull became somewhat much for me. I can deal with a good amount of pull, but in higher winds if you’re off to the side attempting a trick and a gust catches you as you drift towards center your feet better be well grounded. Very nice 540’s and axels. Cascades and half-axels are clean and very nice looking. Surprisingly the freestylist has some of the hardest to miss wapdowaps I’ve seen on any kite other than the Jumping Jack Flash. 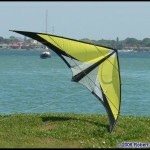 Backspins are extremely easy on this kite as well. The freestylist yo-yo’s quickly and straight as well. 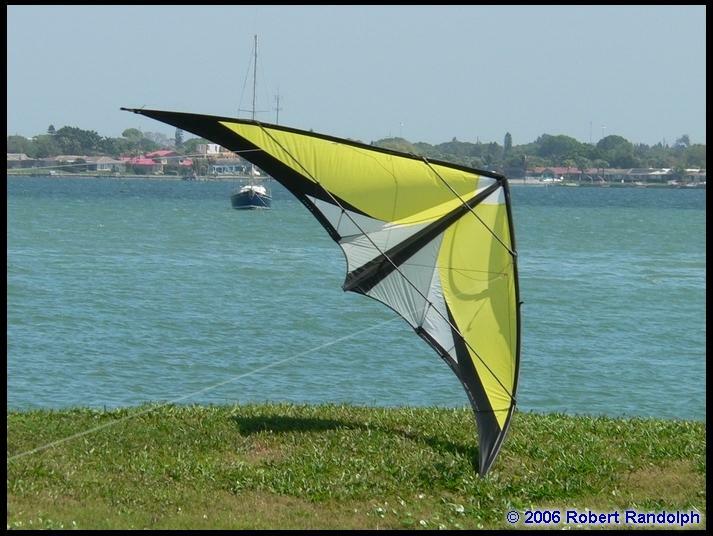 I found the comete to be nearly impossible for the first few hours of flight, and even with much attuning to the kite’s personally it was still hard to execute and choppy. Pretty much everything else was readily available though. There is a very certain Skyburner feel to the freestylist. 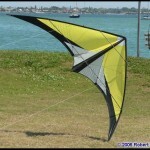 I can’t think of any other kite to compare the freestylist with. 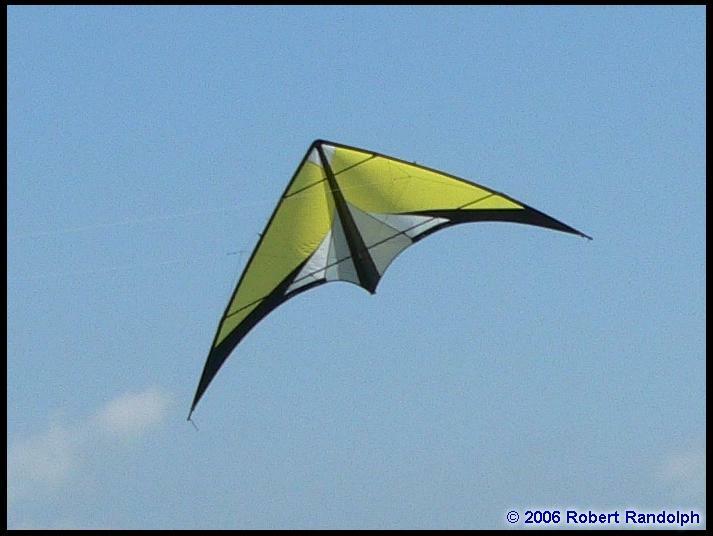 It most certainly does not fall in line with kites like the Nirvana or Sea Devil. There is no “french” feel to it, and it lacks any angular flair to the tricks. 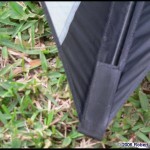 Perhaps it could be brought closer to the side of a gemini, rollier and softer, but with great precision abilities. My first time flying the freestylist was after a chat with Jon Trennepohl about it and straight out to the beach. 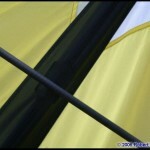 The winds were in the 13-15mph range and my first impression was based on the heavy pull of the kite. On the edge of the window there was a lot of fun to be had. Watching some other fliers do tip stabs on rooftops certainly was a treat. Later the next day as the winds came down it was a lot clearer how nice of a kite the Freestylist is to fly. There’s something relaxing about the Freestylist. 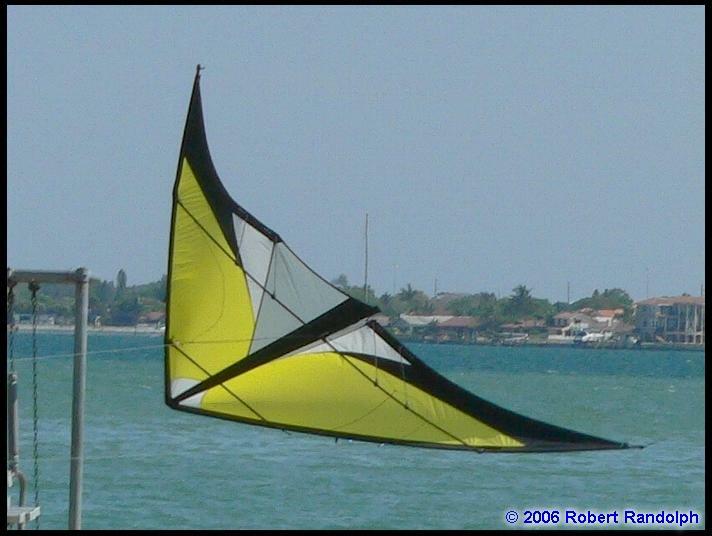 During a 540, while the kite cleanly and flatly rotates, you don’t lose feel on the lines like with many kites. 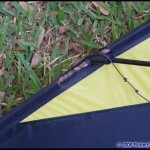 I completed neglected to try any “advanced” tricks for the first 2 days of flying the kite. It was so much fun just to do cascades, 540’s, yo-yo’s, axels and simple groundwork. No struggle with the kite to get a clean trick. As later outings came I began going on with the various tricks out there today. 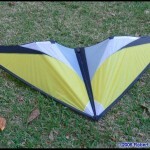 I was very pleasantly surprised to see how easy the kite wapdowaps. 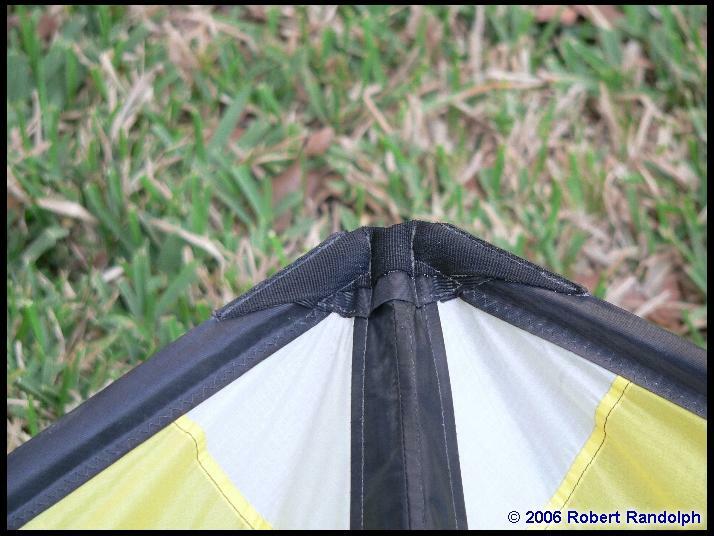 You can pull off very ‘dirty’ wapdowaps and the kite will exit cleanly. Yo-fade and crazy copter are not easy, but they are doable. Backspins are great and can be thrown in reverse without much ado. 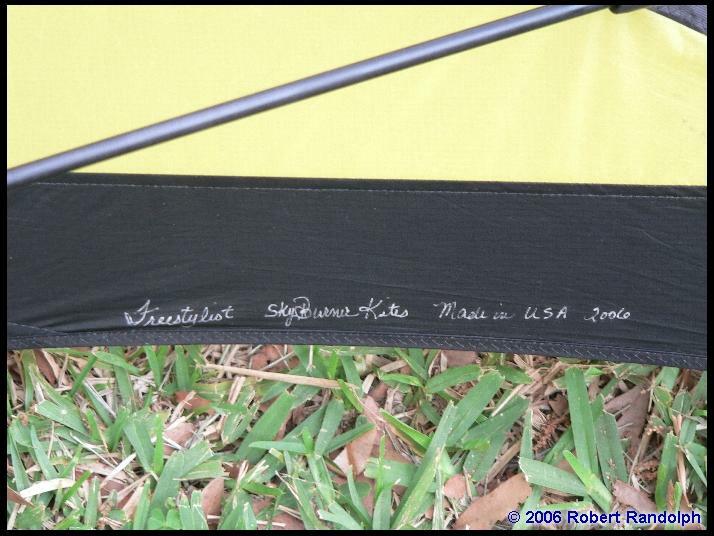 Tip stabs and 2-point landings are clean and elegant and jacob’s ladders roll form position to position with grace. The one thing that I noticed, is the comete is very hard to execute on the Freestylist. With good execution the positions are choppy and sometimes under-‘rotate’. On the other hand the torpille is very easy to execute. 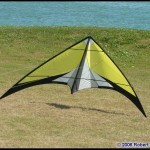 I enjoyed flying figures in lighter winds more so than with other standard kites. 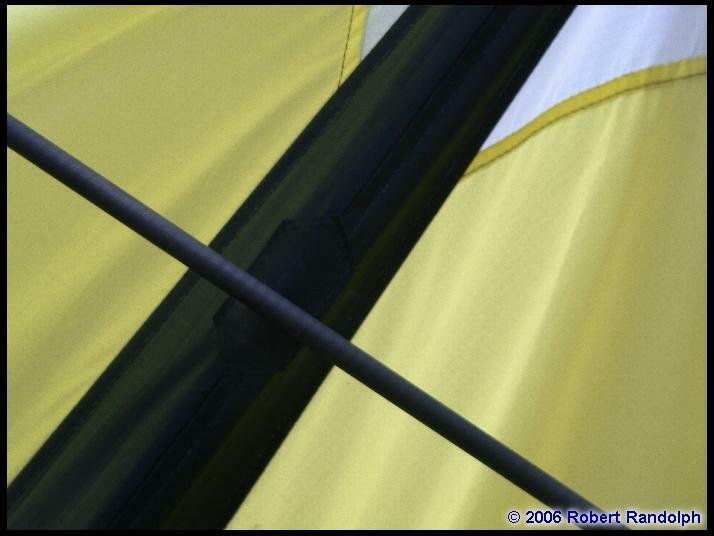 There is still a good feedback on the lines and the kite does not become squirrely or unmanageable like many kites do as the wind comes down. 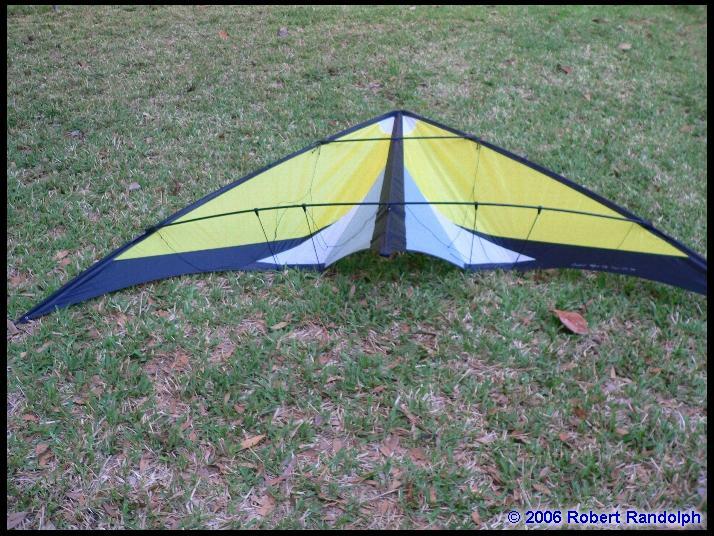 I personally get bored very quickly if I’m not practicing tricks or relaxing and tricking, but with the freestylist I very much enjoyed flying the kite. This is even with it’s reputable tricking abilities. 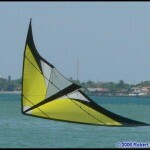 The Freestylist is a great all-around kite. 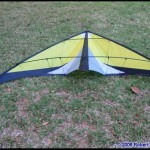 For lack of a better description, the Freestylist has an “American” feel that needs to become more available in the kite market. 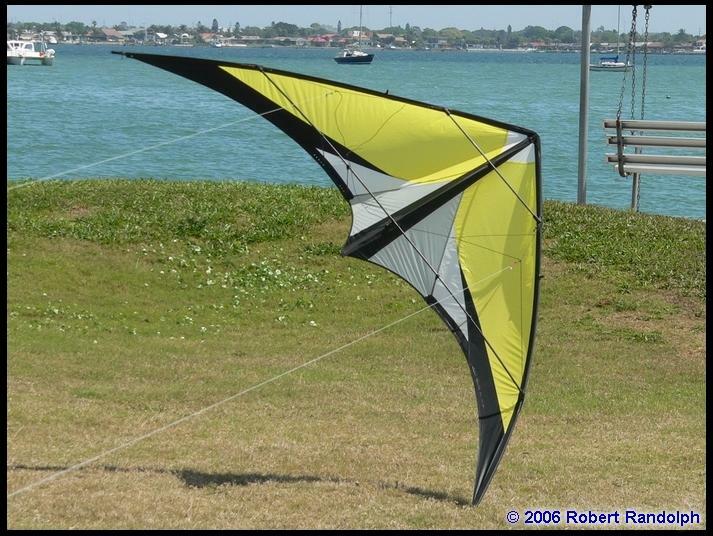 The freestylist is very moderately priced and a more relaxing and solid alternative to more radical kites in the price range. 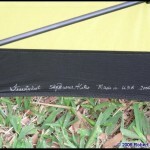 This entry was posted in 2006, Dual Line, General Topics, Issue 47 (Mar/Apr), KL Archive and tagged freestylist, review, skyburner.